Grade your students’ tests and quizzes with confidence and with ease using our Physical Science Video Teacher Kit, made specifically with you, the classroom supervisor, in mind! We know that with a schedule as busy as yours, you want to save time wherever you can; that’s why our answer keys provide you with both the answers and the point values, making your job as simple as possible! 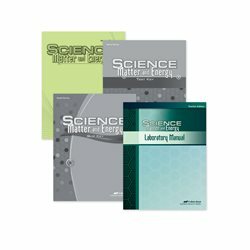 Included in this kit are Science: Matter and Energy Answer Key, Science: Matter and Energy Test Key, Science: Matter and Energy Quiz Key, and Science: Matter and Energy Lab Manual Teacher Edition—everything you need for a smooth and successful school year!